I don’t think I’ve posted this one before. 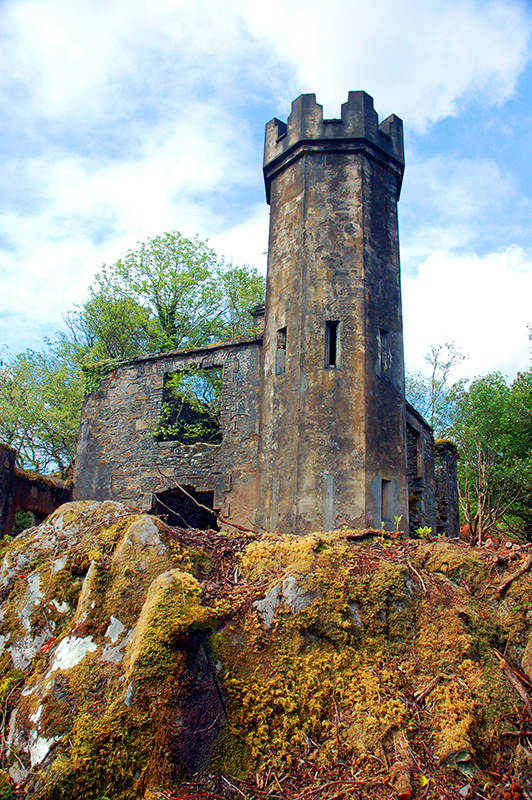 This is Ladies’ View Castle, which is just up the road from yesterday’s picture, Torc Waterfalls. This is one of many places I wish could be restored! And sniffle. If you're sobbing, I'm pretty sure I'm going to be sobbing too. Hang in there! Oh, and what ever happened with the Guinness thing? Excellent result. So, you're still in with a chance. Gods will be invoked for good fortune. Oh we are all in such trouble when that book comes out!